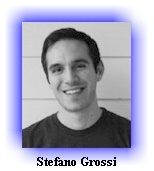 Stefano Grossi specializes in online marketing through search engine optimization, blogging, public relations, and PPC campaigns. Visit his website here. 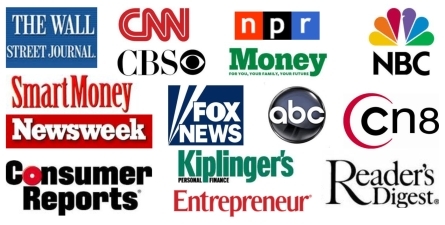 Whether or not you believe the news media about a declining US economy, one thing is for sure, debt collectors are actively filing suits to collect debts. One large collection firm based out of Atlanta has indicated that they file an average of 279 collection lawsuits per day. A lawsuit is often the final effort in the creditor's attempt to collect a debt. If the harassing and often illegal collection calls were not enough, once a person is sued, the reality of the situation is realized. However, for the defendant, not all hope is lost. By the time the credit card company or other creditor files the lawsuit, it may actually be too late to legally collect the debt, if it is properly defended. Often times with the assistance of an attorney, a lawsuit to collect a debt can be defended, negotiated, or won outright for the defendant. Before you start feeling sorry for the credit card company, remember, they are the same corporation that offered an interest rate of 6.9%, and when you were one day late on a payment, raised the interest rate to 24.9%. First, "YOU HAVE TO ANSWER THE LAWSUIT". One collection lawfirm I know has their phone set up so that "Mr. Default" comes up on the caller ID. Mr. Default--it's cute for a collection attorney, but it also tells a story. Once a lawsuit is filed, the name of the game for the debt collector is default judgment. A default judgment is the result of a lawsuit if the defendant fails to timely file an answer. Default judgments are important for the collectors because it means they do not have to prove you owe the money, how much you owe, and most importantly, and this is a secret, the agent for the credit card company or other creditor does not have to come to court. Once a default judgment is entered, all of the potential defenses to the suit are lost, and no one has to go to court to prove the debt. Hence "ALWAYS FILE AN ANSWER" unless you want a visit from Mr. Default. However, you have to be careful. In some jurisdictions all of the defendant's affirmative defenses must be filed at the time the original response is filed with the court or the defenses are lost forever. An affirmative defense basically tells the court, yes I might owe the money, but legally I still win the lawsuit because . . .. Feeling bad for the creditor, see 24.9% above. What kind of defenses are common in debt collection cases, you ask? The most common are the statute of limitations, statute of frauds, waiver, estoppel, improper plaintiff, improper defendant, invalid debt transfer, violation of bankruptcy discharge, and violation of the Fair Debt Collection Practices Act. The last one is not really a defense, but it works like one. Of course, most non-lawyers would have some difficulty determining which, if any, of the defenses are available in a particular case. If you are sued, you really should consult with an experienced collection attorney about your case.